Sumatra (also spelt Sumatera) is the sixth largest island in the world (approximately 470,000 km²) and is the largest island entirely in Indonesia. The island is home to a host of species including Sumatran Pine, Rafflesia arnoldii (world's largest individual flower), Amorphophallus titanum (world's tallest and largest inflorescence flower), Sumatran Tiger, Sumatran Orangutan, Sumatran Rhinoceros, Sumatran Elephant, Sumatran Striped Rabbit, Malayan Tapir, Malayan Sun Bear, Bornean Clouded Leopard and many birds and butterflies. The island includes more than 10 National Parks, including 3 which are listed as the Tropical Rainforest of Sumatra World Heritage Site. 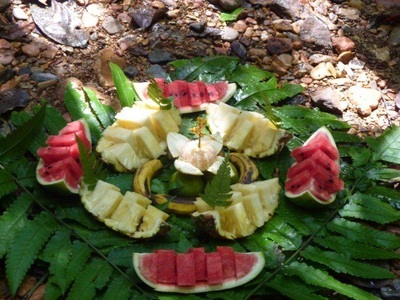 Gunung Leuser National Park is the area in which our treks and expeditions are centred. Indonesia is second only to Brazil in its holdings of tropical forests; ten percent of the world's total rainforest grows on the Indonesian archipelago of 13.677 islands. 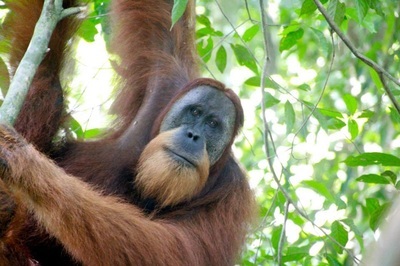 Leuser Mountain National Park has been recognized as a site for Sumatra Orangutan rehabilitation since 1973 until program was closed in early 1995. Up to 229 ex-captive Orangutans have been released in BUKIT LAWANG, and visitors can observe them live in the forest with their offspring. Most of them have been successfully released in the jungle, but a few still stay close by the camp. 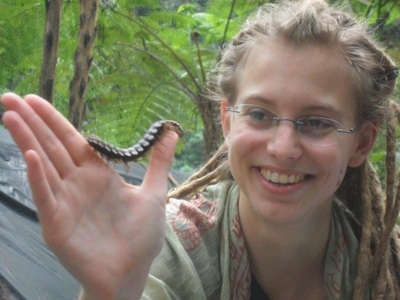 BUKIT LAWANG is also home for several primates. The Thomas’ Leaf Monkey, is an endemic species (found only) of the northern part of Sumatra including GLNP. This delightful black-grey-white monkey live with forest neighbors such as the Long-tailed Macaque and Pig-tailed Macaque. Siamang and White-handed Gibbon are difficult to see as they are very shy, but their unmistakable morning call can be heard from a distance. Up to 100 bird species can be seen or heard in BUKIT LAWANG, such as Sunbird, Honey-eater, Pigeons, Eagles. Spend a little longer by fruiting figs and you will busy counting the number of wildlife feeding from the tree. Rafflesia is very rare, but can be found deep in the forest. There is an Amorphophallus near the feeding site. You may be lucky and catch a glimpse of the two flowers in bloom.